Six of central Indiana’s largest sports organizations, along with the state’s Next Level Fund, are partnering to launch Techstars’ first sports technology initiative in Indianapolis. Techstars, the worldwide network that helps entrepreneurs succeed, and the SportsTech founding partners Next Level Fund, Indiana Sports Corp, NCAA and Pacers Sports & Entertainment and supporting partners the Indianapolis Colts, Verizon IndyCar Series and Indianapolis Motor Speedway, are joining together to bring a new mentorship-driven accelerator program to Indianapolis: Techstars SportsTech Accelerator Powered by Indy. As one of the premier sports and tech hub destinations in the country, Indianapolis is an emerging leader bridging technology and innovation. 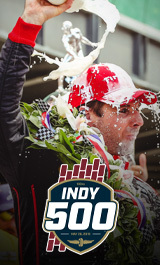 The three-year accelerator program will launch at the 103rd Running of the Indianapolis 500 in May 2019 and will support innovative startups across many sectors, stages and business models aiming to combat issues in sports technology. capitalists at the culmination of the 13 weeks. The SportsTech Accelerator will have a key focus on innovation with goals to foster early identification of key trends for future technology in sport; meaningful engagement with early-stage sports tech companies; embrace technologies and business models that will impact the sports industry; and enhance a culture of internal innovation and the spirit of entrepreneurship. The Techstars SportsTech Accelerator fund is backed by the founding partners Next Level Fund, Indiana Sports Corp, NCAA and Pacers Sports & Entertainment in addition to the supporting partners the Indianapolis Colts, Verizon IndyCar Series and Indianapolis Motor Speedway. In the coming months, Techstars will select a Managing Director to oversee the strategy and leadership of the program and hire Support Program Staff. “Indianapolis already is an international center for sports and sports-driven ventures, and today’s announcement only adds to our city’s world-class business portfolio,” said Pete Ward, Colts chief operating officer. “We are pleased to partner with the Next Level Fund and our fellow sports properties to support this new and innovative opportunity for our city.” With the addition of the SportsTech Accelerator and an announcement last week by the Heritage Group, which is partnering with Techstars to bring materials science-based startups to Indianapolis through a similar venture, Techstars will have 46 accelerator programs around the world. Techstars selected Indy to pilot this sports tech initiative and add to their existing accelerator profile including more than 1,400 companies with a market cap of $16 billion.